Moore first published this poem in Poetry 49 (November 1936): 59-64 and reprinted it with modifications in What Are Years. Curious to know what Moore was describing, I searched the Internet for the quoted words from a seal with a pelican and found a contemporary artist, Shannon Westmeyer, who referred to one. Ms. Westmeyer replied that she had made a pendant from just such a Victorian era wax seal. She sent a photograph and permission to publish it. The seal itself would have been carved in the negative but this image is what it would have produced on a letter. In heraldry, the pelican represents the parent who would sacrifice herself to save her young, typically a Christian symbol. This poem appeared in the University of Kansas City Review in Spring, 1950, and was never collected by Moore. It now appears in the new Collected Poems of Marianne Moore edited by Heather Cass White. Why Moore abandoned it remains a mystery. The poem seems, at least in part, to refer to W. H. Auden, a poet Moore knew and respected. A Rake’s Progress is a series of eight paintings, later prints, made by William Hogarth in the 1730s. They tell the story of Tom Rakewell, heir of a wealthy Englishman, who wastes his fortune in London on both high and low living. He is imprisoned in the Fleet Street Jail and later confined to Bedlam (Bethlem Hospital). In the first picture, Tom stands in his late father’s house, being measured for new clothes. There are many signs of miserliness, including a starving cat, an empty fireplace, a bible, its cover cut up to resole a shoe, the portrait of the father counting money. In addition, there are “the miser’s / Escutcheon—three vises hard screwed” in a frame hanging near the ceiling on the wall above Tom’s left hand. And the connection with Auden? Moore met Auden not long after he moved to New York in 1939. It was his idea that she translate La Fontaine’s Fables, for which she signed a contract in 1945. Auden (along with Chester Kallman) began his collaboration with Igor Stravinsky on the opera, The Rake’s Progress in late 1947. His libretto developed over the next four years and the opera was premiered in Venice in 1951. While Moore could not have seen a production before she published her poem, she must have been aware of Auden’s involvement in the project. A copy of the 1951 publication of the opera’s libretto survives in Moore’s library at Rosenbach. Auden’s and Kallman’s finished work tells a very different story about Tom Rakewell than Hogarth’s pictures (although pictures three and eight are referenced in it). Moore’s poem includes a mention of only the first picture which shows Tom, newly rich, in the old miser’s room. Auden’s story begins with Tom and his fiancée Anne Trulove followed by Tom’s temptation by Nick Shadow to a louche life in London. While Tom inherits a fortune from his father, there is no mention of the miser or the escutcheon. As to why Moore never collected this poem, here is a hypothesis: she got some of it wrong. If the poem was meant as a salute to Auden, including his collaboration with Stravinsky, it alluded to a part of the Rake’s story not used in the opera. That may have been reason enough to exclude the poem from future collections. That Moore attended the Carlisle Commercial College during the academic year 1909-1910, right after college graduation, is well known. An article from the Carlisle Sentinal for August 26, 2016, claims that she had been offered a job at the Carlisle Indian School but felt she had to build her skills to teach commercial subjects there. In fact, after her year of commercial training, she took a position at the Lake Placid Club in Lake Placid, New York, under Melvil Dewey. She was laid off there in the fall of 1910 and the next year went to the Indian School. Carlisle Commercial College offered a “Commercial Course” with “classes in bookkeeping, business forms, business correspondence, commercial law, business customs, banking methods and spelling.” It also offered a “Shorthand Class” for mastering “shorthand, touch typewriting, letter press copying, definitions, filing methods, punctuation, letter writing, office practice and composition” A third course combined the two. Moore first sent“To William Butler Yeats on Tagore” to a little magazine on November 11, 1914, four days before her 27th birthday. It appeared in The Egoist of May 1, 1915 and later in Poems, 1921, as above. Rabindrinath Tagore, a Bengal writer from a distinguished family from Calcutta, translated his Gitanjali or Song Offerings into English for private circulation by the India Society of London in 1912. 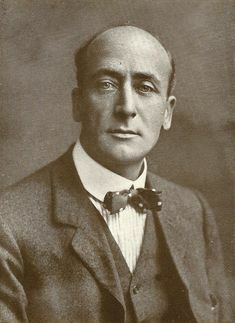 Macmillan in London picked up the book and published an edition in March, 1913. On November 13, 1913, Tagore received the Nobel Prize in Literature. Key to the Macmillan edition was an enthusiastic introduction by W. B. Yeats. The Irish poet writes: “These lyrics. . . display in their thought a world I have dreamed of all my life long. . . . A tradition, where poetry and religion are the same thing, has passed through the centuries, gathering from learned and unlearned metaphor and emotion, and carried back again to the multitude the thought of the scholar and of the noble. If the civilization of Bengal remains unbroken, if that common mind which—as one divines—runs through all, is not, as with us, broken into a dozen minds that know nothing of each other, something even of what is most subtle in these verses will have come, in a few generations, to the beggar on the roads.” He goes on to compare the poems to the voices of St. Francis and William Blake. Beautiful is thy wristlet, decked with stars and cunningly wrought in myriad-coloured jewels. But more beautiful to me thy sword with its curve of lightning like the outspread wings of the divine bird of Vishnu, perfectly poised in the angry red light of the sunset. It quivers like the one last response of life in ecstasy of pain at the final stroke of death; it shines like the pure flame of being burning up earthly sense with one fierce flash. Moore excluded this poem when she published Observations. Tagore’s popularity, immense in England and America in the 1910s when he read to packed gatherings, waned until, “ by 1937, Graham Greene was able to remark, ‘As for Rabindranath Tagore, I cannot believe that anyone but Mr. Yeats can still take his poems very seriously.’” (Amartya Sen, “Poetry and Reason: Why Rabindranath Tagore Still Matters,) The New Republic, June 30, 2011. ) Yeats, of course, was another issue and Moore would turn to him repeatedly over the next decade and a half. Enter Elizabeth Bishop, Vassar, 1934. Bishop recalls asking Borden why there was no copy of Observations on the library shelves and that Borden loaned her her own copy (which she apparently thought not good enough for the library). Borden explained that she had known Marianne since she was a little girl and suggested that if Bishop would like to meet the poet, Miss Borden would write a letter of introduction (Elizabeth Bishop, “Marianne Moore: Efforts of Affection,” Vanity Fair’s Writers on Writers, ed. Graydon Carter, NY: Penguin, 2016, pp. 36-38). We all know how that story ends: a visit to New York City, a trip to the circus, a lifelong friendship. Bishop’s memory piece goes on to say that she thought the famous incident of Fanny’s aunt, Lizzie Borden, who was tried and acquitted of the axe murders of her father and step-mother in Fall River in 1892, when Fanny would have been in high school, had the effect of making Fanny shy with a nearly inaudible voice. Fanny Borden retired as Vassar’s head librarian. At the time, President McCracken said: “Miss Borden is a genius in securing unusual books and in assisting professors in their research. Her greatest service has been her indefatigable aid to the faculty in their research” (Vassar Chronicle, Volume II, Number 35, 2, June 1945, p. 3). The world of American poetry may agree that she had an even more important role. When this “Comment” was published, Moore had already made use of the St. Jerome woodcut in “Sea Unicorns and Land Unicorns” (1924). The Tyrolean watercolor would appear in “The Steeple-Jack” (1932), the “Rhinoceros” in “Apparition of Splendor” (1952) and “St Eustachius,” it can be argued, can be seen in “St. Nicholas” (1958). Long after this “Comment,” there is mention of Dürer’s “Violet Bouquet” in “Then the Ermine” (1952). Because the Tyrolean watercolor has already been treated in this blog for June 20, 2010, I will not repeat it here. Here the lion is likened to a horse, a no-horned beast, a domestic animal. St. Jerome’s lion comes with more of a story: A lion arrived at Jerome’s monastery, frightening away the other monks. Jerome realized that the lion had a thorn in its paw and healed it. In return, the lion became a useful member of the monastery. The Metropolitan Museum acquired a copy of this engraving in 1919 and it is possible that it appeared in the library exhibition. Moore uses this image as a foil to the porcupine, her central subject, chosen for the rodent armed black-and-white quills. Dürer’s beast represents a rhinoceros said to have arrived in Portugal from India; it was covered in thick scales and could eviscerate an elephant using its single horn. Poetry 45 (November 1934):64-67, the last stanza. “Of all the pretty things in porcelain that reach England from China, not the least popular are those engaging animals in various shades of green, aubergine, and yellow known in the trade as “Kylins”. . . .There are thousands of these beasts to be seen, all more or less modelled to a traditional pattern and all horribly reminiscent of a Pekinese rampant. Our question, of course, is whether the highly precise poet was putting us on. Just as Davis pictured the Pekinese rampant lions but insisted on describing the “real” kylin which he did not picture, perhaps Moore was blending the two to make an “imagined” masterpiece. Adalbert Stifter (1805-1868) was born in Oberplan, Austria, and as a young man began to write stories based on the countryside of his youth. He published Bergkristall in 1845, the story of two children lost in the mountains on Christmas Eve. A century later, at the urging of W. H. Auden, Moore and Elizabeth Mayer translated the work as Rock Crystal for Pantheon Press in 1945. Linda Leavell writes in Hanging On Upside Down that Mayer “wrote a literal first draft, and Marianne gave Mayer’s English the sparkle of poetry” (327). Moore and Mayer were almost exact contemporaries. Mayer (1884-1970) hailed from Munich which she fled in 1936, following her psychiatrist husband to New York. An accomplished pianist and hostess, she welcomed such artists as W. H. Auden, Benjamin Britten, and Peter Pears to her homes on Gramercy Park and in Amityville, Long Island. Auden’s New Year Letter (1940) was dedicated to her. In addition to her translation with Moore, Mayer also worked with Louise Bogan on Goethe’s The Sorrows of Young Werther. Auden introduced both books. Moore’s readers will recognize the name of the pastor of her church who succeeded Dr. George Norcross and of the lecturer in bible studies whom she credits in a footnote. Edwin H. Kellogg (1880-1965) was born in Allegheny, Pennsylvania, the son of Rev. Samuel Kellogg, and a graduate of both Princeton College ‘02 and Princeton Seminary ‘06. His early years were spent in Canada and, with his missionary father, in India. After seminary he spent a year in Northern India near Allahabad before being called to the Second Presbyterian Church of Carlisle, Pennsylvania, in the summer of 1910. To judge by his early educational successes, he must have seemed to his Carlisle parishioners a model of intellect. In college, he won scholarships and prizes in English, oratory, disputation and philosophy and was elected to Phi Beta Kappa. When he left Carlisle in 1916, he taught biblical history and literature at Connecticut College for Women and, for several decades, at Skidmore College. Hartford Seminary bestowed upon him a Ph.D. The notebook Moore used in 1914 while attending Kellogg’s bible study class (Rosenbach VII:08:03) adds considerably to her note to “The Past Is the Present” where Kellogg is confirmed as the source of the lines “Hebrew poetry is prose / with a sort of heightened consciousness.” For discussion of Kellogg and Moore, see Cristanne Miller, Marianne Moore and a Poetry of Hebrew (Protestant) Prophecy,” Sources 12 (Spring 2002): 29-47. Please share your interest in Moore and her poetry. On this site can be found below posts concerning the poems. 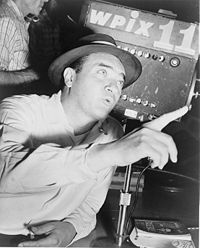 To the right are a list of pages, chiefly essays on Moore, a list of posts, and a search function. Also featured are “Marianne’s Garden,” posts on Moore’s use of flora, accompanied by period nature writing; “Marianne’s Book of Days,” chiefly brief sketches of people who were important in her life. Comments are always welcome. 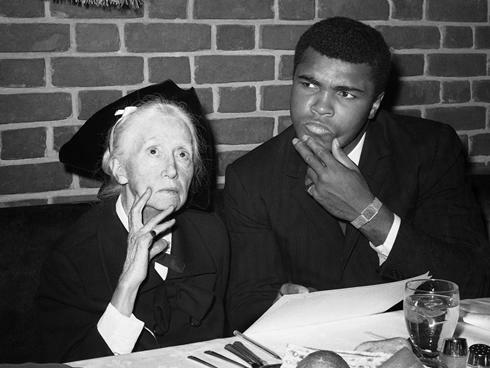 The Marianne Moore Digital Archive can be seen at its University at Buffalo site: https://moorearchive.org. This new resource is a major boon for Moore scholarship. The Marianne Moore Society’s home page is https://mooresociety.org. This site is the clearinghouse for Moore studies. *Index to Posts,” a new page on right-hand column, lists posts to date. Use the search box to bring up a post. REGULARLY UPDATED: “Marianne’s Garden” explores the flora that appear in Moore’s poems. “Book of Days” offers information on friends and events that played supportive roles on Moore’s writing life. CLICK on these titles in the RIGHT-HAND COLUMN. If you want to get email notices when new material is added to this blog, click on “Subscribe” at the bottom of the right-hand column. Kept among Moore’s papers is a copy of poem typed on her stationery with her typewriter, bearing most of the physical hallmarks of her work up to about 1916 with one exception: it has no return address in the upper left corner that Moore used when a poem was be sent out to an editor. The original of the poem is found in A Prisoner in Fairyland , a novel by Algernon Blackwood, published by Macmillan in 1913. In brief, the novel concerns an English family who moved to the safety of neutral Switzerland. The four young children formed a “star society,” each identifying with a constellation. At night the children play among the stars, collecting stardust – in effect grains of sympathy – to sprinkle on the adults to release them from their narrow lives, the father a failed novelist, the mother utterly lacking in imagination. The children are helped by a group of “sprites” who travel on the Starlight Express, a “train” of thought, which serves as a portal into the star world. My love because it’s airy and elect? I’ll woo thee with an equinoctial storm! Moore copies the poem almost exactly and omits the lines here in bold. Why this novel interested Moore is open to question but it can be noted that at about this time (roughly 1913-1916) she was reading Blake, Yeats, and Traherne. “Sea Unicorns and Land Unicorns,” The Dial, 78 (November 1024): 411-13. An offering: two years after the publication of this poem, Moore thanked Monroe Wheeler for sending her from Paris a “handkerchief containing the Museé Cluny. . . . Cluny was the dearest delight we had in Paris and the place we went oftenest.” (SL 228) One of the glories of that museum is the set of six Flemish tapestries from about 1500 known as The Lady and the Unicorn (La Dame à la licorne) which arrived there in 1882 from Boussac Castle in central France. Five of the mille-fleur tapestries depict the five senses while the sixth is entitled somewhat enigmatically “À Mon Seul Désir.” The work portraying “taste” shares with the others the figures of a woman with a lion to her right and a unicorn to her left. It also includes a monkey, a parakeet, a goat, rabbits, and other animals, and a kneeling woman offering a dish of sweetmeats. “Taste” is the only Cluny tapestry which portrays both the lion and the unicorn standing on their hind legs. Moore’s interest in heraldry has been remarked upon but perhaps not drilled down to these animals’ positions. In heraldry, the lion “rampant” refers to “attitude” or position, a lion on its hind legs (or on one hind leg, the other slightly raised), turned to one side. The other tapestries’ lions and unicorns are sejant (sitting), sejant erect (sitting, front legs up), couchant (lying down), or passant (walking). Technically, the unicorn is a unicorn rampant guardant, that is, looking to his left. But perhaps it is best not to stress the heraldic precision too much. “Values in Use,” Partisan Review 23 (Fall 1956):506. *The Complete Correspondence between Elizabeth Bishop and Robert Lowell, ed. Thomas Travisano with Saskia Hamilton, New York: Farrar, Straus & Giroux, 2008, pp. 184 and 182. –“The Monkey Puzzler,” The Dial, 78 (January 1925), 8, ll 1-5. One of the magazines Moore consulted during the time she wrote this poem was The International Studio: An Illustrated Magazine of Fine and Applied Art published in New York by John Lane and Company. While the issue of this title is not yet fully visible on line, there are some “work-arounds” to suggest what Moore saw and what inspired the “Paduan cat with lizard.” A supplement in an issue from Volume 76, 1923, discusses “a realistically treated cat seated with a lizard in its mouth . . . This is a Paduan work of the Fifteenth Century.” At that time, this small bronze sculpture belonged to the Heseltine Collection of London; in the 1940s it was acquired by Lt Col. the Hon. M.T. Boscawen, whose sister, the Hon. Mrs. Pamela Sherek, bequeathed it to the Fitzwilliam Museum in 1995. The reason for reporting this extended provenance is to tie together today’s Fitzwilliam cat with the one Moore saw in The International Studio in 1923. When Moore met the cat, it was considered a work of Renaissance Padua. Today it is listed as from southern Germany, 17th century. The image below, taken from the Fitzwilliam collection via the article “The Boscawen Collection at the Fitzwilliam Museum, Cambridge: Supplement,” in The Burlington Magazine, Vol. 139, No. 1137 (Dec., 1997), pp. 907-912. The figure, below in the upper left photograph, is on page 911. Detroit’s Montejo (“My baby pitcher”) pitched only the eighth inning, allowing 2 hits, 3 runs, 2 walks, and 1 strike-out; he just missed hitting Mickey Mantle (“’Grazed a Yankee!’”). That night was 25-year-old Montejo’s last game pitching for the Tigers and his last game playing in the majors. The Yank’s Whitey Ford pitched the entire game: “Ford just breezed along to his twenty-forth victory, going all the way. It marked his eleventh complete game of the season and his six strike-outs gave him a total of 192” (New York Times, September 16, 1961, p. 13). Lyrebird from Audebert and Vieillot’s Histoires Naturelles . . . des Oiseaux de Paradis, Paris, 1802. Moore used postcards of this image published by the Harvard College Library. When she might have had a chance to append notes in Poems, 1921, Moore was not offered a choice because Bryher and H. D. produced the book without truly consulting the author. 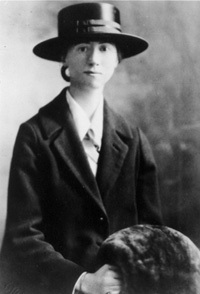 Her opportunity arose in 1924 with Observations, and as we can see from Robin Shulze’s Becoming Marianne Moore (2002), she went at it with a vengeance: 53 poems, 158 notes. The poems are in largely chronological order as written, beginning about 1915, and the notes are at first intermittent, then one or two per poem, until about 1920 when they begin to abound, culminating in elaborate documentation for the long “Marriage” and “An Octopus.” For her next book, Selected Poems (1935) Moore adds eight new poems, “The Steeple-jack” and “The Hero” presented as parts of one poem, “Part of a Novel, Part of a Poem, Part of a Play.” All but the last-named double poem have notes. This is not to say that the notes remained unchanged. For example, the notes to “An Octopus” diminished from 29 to 16 between Observations and Selected Poems through merger and omission. Just as she felt free to recast a poem from her syllabic rhyme to free verse (“A Grave”) or to drop lines (the fifteen-line catalog of flowers in “An Octopus), Moore also reworked her notes. What follows is a single but curious example. Moore published “Tom Fool at Jamaica” in 1953 in The New Yorker without notes, as was the magazine’s custom. But when she included it in her Like a Bulwark in 1956, she appended extensive notes and a French poem to account for the horse’s having become “magnetized by feeling” in his effort to win a race: “Sentir avec ardeur,” by eighteenth century Mme de Boufflers. The poem came to her from Achilles Fang, a multi-lingual classical Chinese and comparative literature professor at Harvard and author of a dissertation on classical allusions in Pound’s Cantos. To complicate the issue, Moore explained in her note that her quotation there from Fang’s work, in which she quoted his interest in “Sentir avec ardeur,” was derived from a note in Fang’s “Rhymeprose on Literature,” his scholarly translation in the Harvard Journal of Asiatic Studies of Wen Fu by third century Chinese Lu Chi, in which he referred to Mme de Boufflers. Her quotation from his note reads: “I am at one with a contemporary of Rousseau’s: ‘Il faut dire en deux mots / Ce qu’on veut dire; . . .’ But I cannot claim ‘J’ai réussi,’ especially because I broke Mme de Boufflers’s injunction (‘Il faut éviter l’emploi / Du moi, du moi’).” Among her papers is a copy of the poem, typed out by her, and noted as obtained from Achilles Fang. When it appears in three of her subsequent books, “Tom Fool” is always accompanied by this note and the full text of the French poem. Moore published “In Lieu of the Lyre” in the Harvard Advocate in 1965 at the invitation of its editor, the nephew of a friend in New York. She used half her lines to thank Harvard’s Achilles Fang, Harry Levin, Kirkland House and Lowell House for literary help over the years. Then she appended precisely the same note about Fang and Mme de Boufflers; she continued this practice for the poem’s first book appearance, in Tell Me, Tell Me. But when it came time to include both this poem and “Tom Fool” in Complete Poems in 1967, the note caused a problem, solved by using the full note for “Tom Fool” and a “see also” note for “In Lieu of the Lyre,” referring back to the “Tom Fool” note and text of the French poem. In the latter case, Moore names “Sentir avec ardeur” and its author but does not print its text. “Bowls,” first published in Secession, No. 5 (July 1923), 12. This version is from Comlete Poems, p. 59. —From “An Emperor of China’s Throne: 18th-century Red Lacquer.” Illustrated London News [London, England] 8 July 1922: 59. “Lacquer, as used in China and Japan, is a purely vegetable substance, the product of a tree indigenous to China, the Rhus vernicifera. The sap is extracted from this tree . . . by means of incisions in the bark, purified by straining through a hempen cloth, and, in the form of a viscid, evenly flowing liquid, is then ready for the lacquerer’s use. On exposure t the air, it rapidly takes on an extreme hardness and is capable of receiving a brilliant, translucent polish which at its best, surpasses that of any other known substance with which it can be compared. It can be coloured, without losing its quality, by the addition of the necessary substances; and, when once set, will resist both heat and moisture. Its chief enemy is light, which, if too strong, destroys its brilliancy and gives it a dried-up, faded appearance. The basis of carved, and indeed, of almost all Chinese and Japanese is wood, worked to extreme smoothness of surface, very carefully fitted, and the joints luted with lacquer composition, hardened and polished. . . . [The] next process was the over-laying of the wood with linen or hempen cloth, then the application of a coat of lacquer composition, on which come various successive layers of true lacquer, forming the material at the disposal of the carver. To build up a thickness of lacquer sufficient for the work of the latter, a considerable number of these layers was necessary–not less than ten in any piece of importance, and probably many more in the examples described here. As each of these layers needed three or four weeks to harden, and then had to be polished before any addition could be made, it will be realized that the preliminary processes only–before the carver could get to work–involved a period of months or even years. “. . . The fine red was obtained by grinding native cinnabar (chu sha) with raw lac . . . . The carver, working with sharp knives and gravers, then cut inwards from the surface, working with absolute precision [emphasis added], so as to expose precisely the layer of colour–and no more–that was needed for his design. It will at once be seen how necessary was the building up of the lacquer. Were it applied more hurriedly and without each layer being given time to dry and harden, the inside textures would be uneven and the perfection of workmanship seen in all the best examples could never have been reached. , , , It is especially to the Emperor Ch’ien Lung [Kien Lung] (A.D. 1736-1796) that we owe the final perfection of technique. . . .
–Lieut. Colonel E. F. Strange, “Chinese Carved Red Lacquer.” Illustrated London News [London, England] 8 July 1922: 72-73. 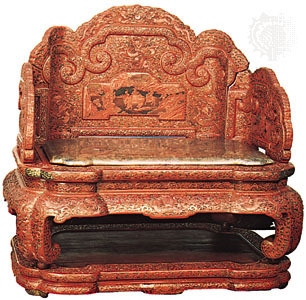 The article further describes the carvings on the throne, from an elephant bearing jewels, five bats for the Five Blessings, a pair of fish, the Musical Stone, a frieze of dragons pursuing the Sacred Jewel, and, on the elephant-shaped legs, a Taoist symbol of the mountain in the Isles of the Blessed. Despite this description’s allusions to elephants and bats, favorites of Moore, it is likely the process of creating the piece and its demand for precision that appealed most to the poet. of the major Modernist poet Marianne Moore. laying the groundwork for the future of Moore studies. in the twenty-first century’s understanding of Modernism. and cultural, eco-critical, age, queer and science studies. The format will allow all attendees to hear all papers, for a fully engaged discussion. for scholarly and creative presentations. to egregory@uh.edu by July 15th 2014. Please forward this Call to others who might like to participate.